JMT is the lead designer for highway improvements in support of a new, local manufacturing center in the Charleston, SC region. 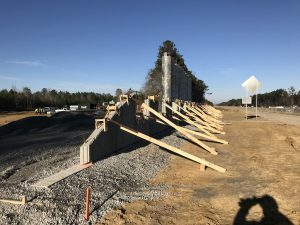 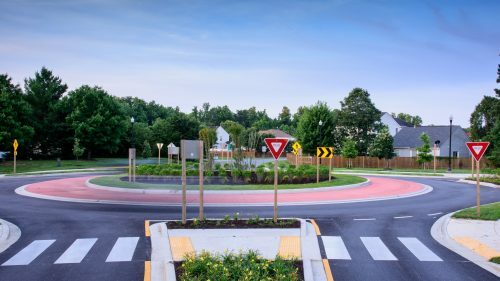 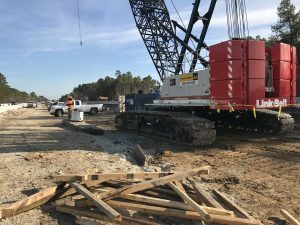 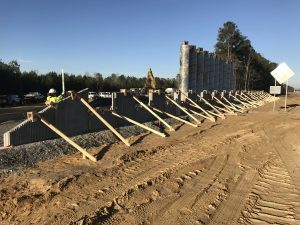 The Volvo interchange is a new, three-leg interchange along I-26 in Berkeley County that provides access to and from the interstate to the new Volvo Boulevard, which will then lead to a business park as well as the new Volvo manufacturing facility. 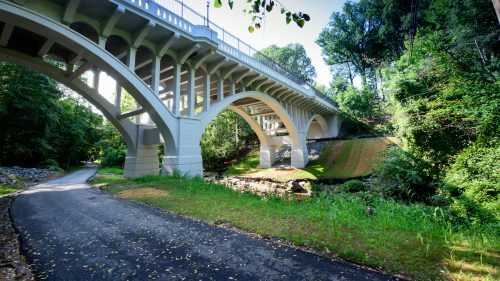 JMT is lead designer for this accelerated project delivery, providing bridge design, roadway design, geotechnical design, and environmental services for the project. 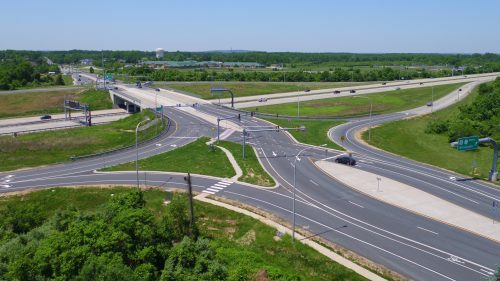 The interchange project includes three bridges on horizontally curved alignments. 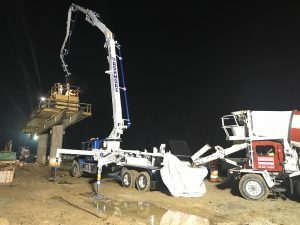 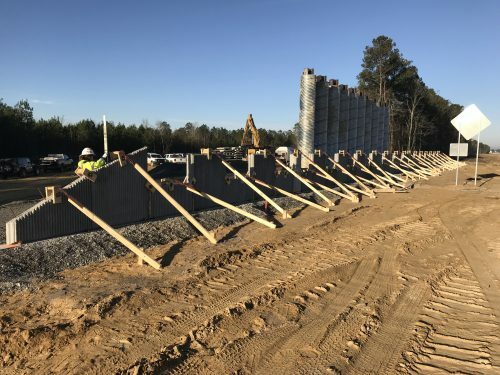 The bridge superstructures are flared and consist of prestressed concrete girders supported by multi-column pier bents founded on pile supported foundation and integral end bents, with mechanically stabilized earth walls supporting the embankments. 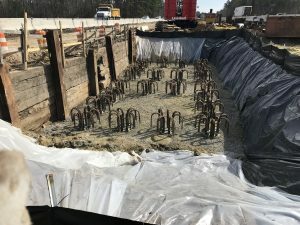 The project is in a high seismic zone, requiring an in-depth seismic design/analysis. 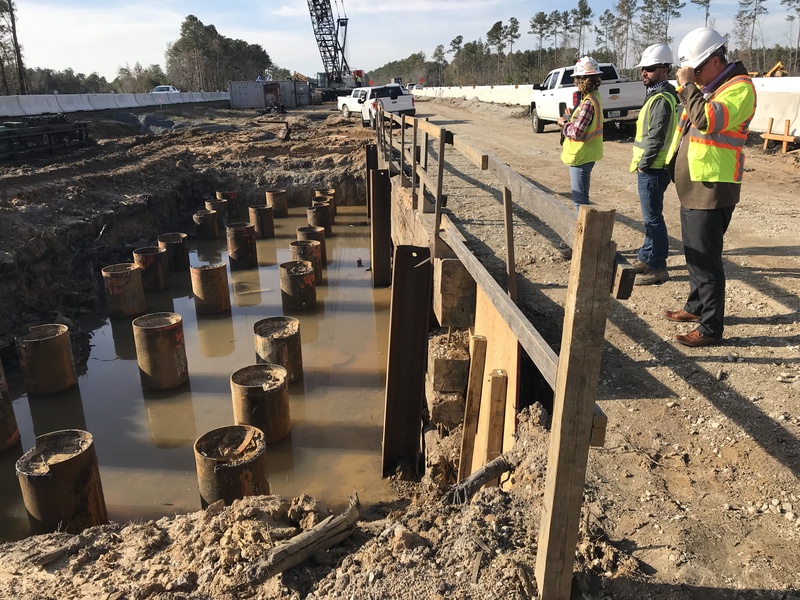 A multimodal response spectral analysis was conducted to determine displacement demands at the end bents and interior piers during an earthquake event. During the pre-bid phase, extra care was taken to minimize impacts to wetlands. Innovative design features resulted in construction cost savings for the project and reduced wetland impacts by almost five acres. 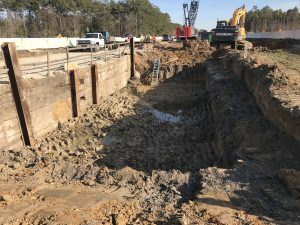 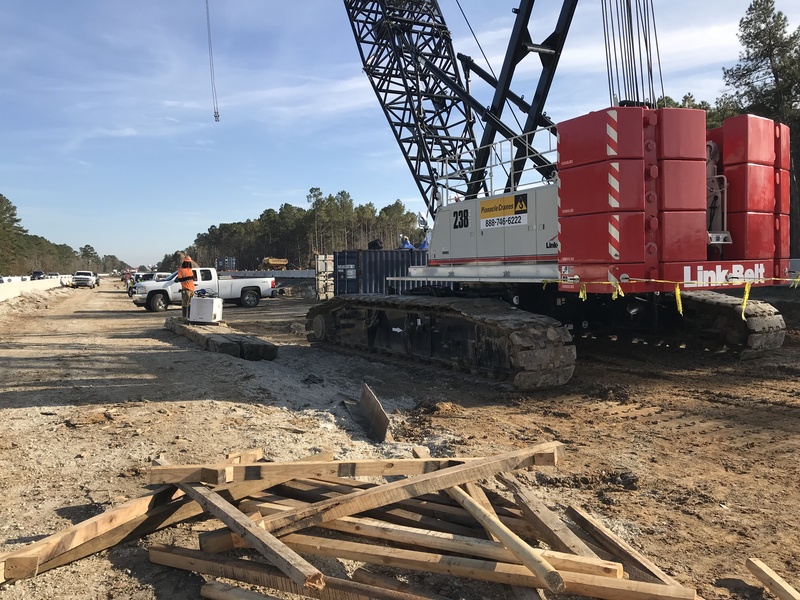 JMT prepared the United States Army Corps of Engineers (USACE) permit modification request, coordinated with the County’s consultants and the South Carolina Department of Commerce, and received approval in 13 business days. 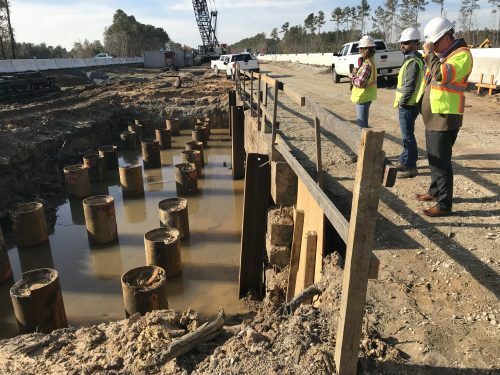 Concurrent with USACE permitting, JMT also prepared the environmental compliance plan, which included all environmental commitments and permit conditions, roles, and responsibilities.